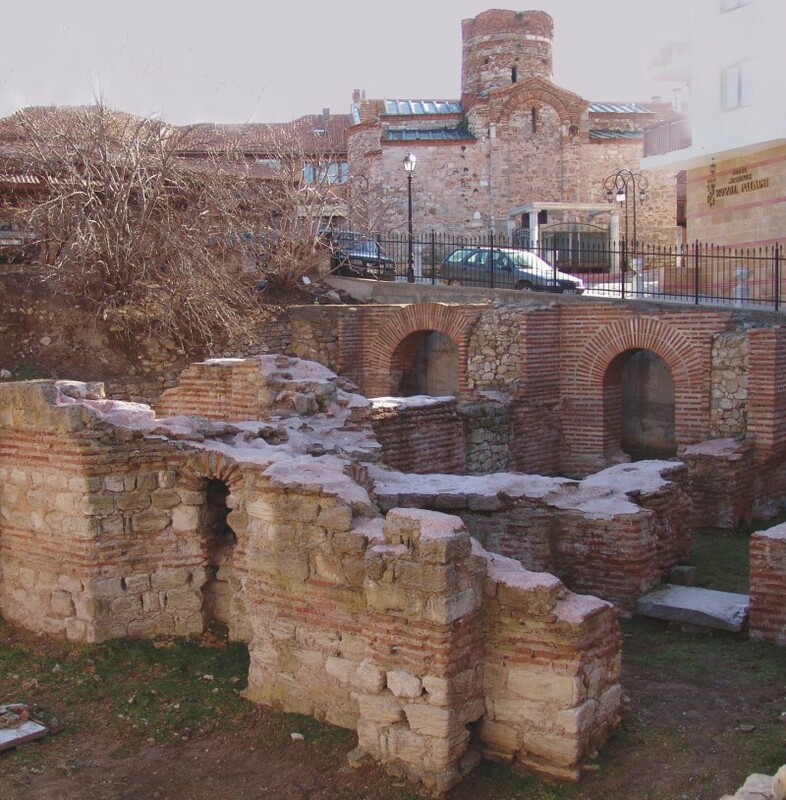 Terms (baths) in Nessebar were built in 6th century during the ruler of Byzantine emperor Justinian I the Great (527-565). 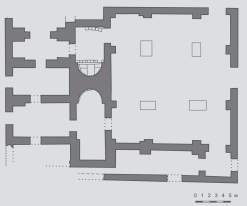 About 2/3 of their area is studied - 5 warm premises – two of them with semi-circled pools, central hall and a corridor. The other part of the building is now under the streets and houses nearby. 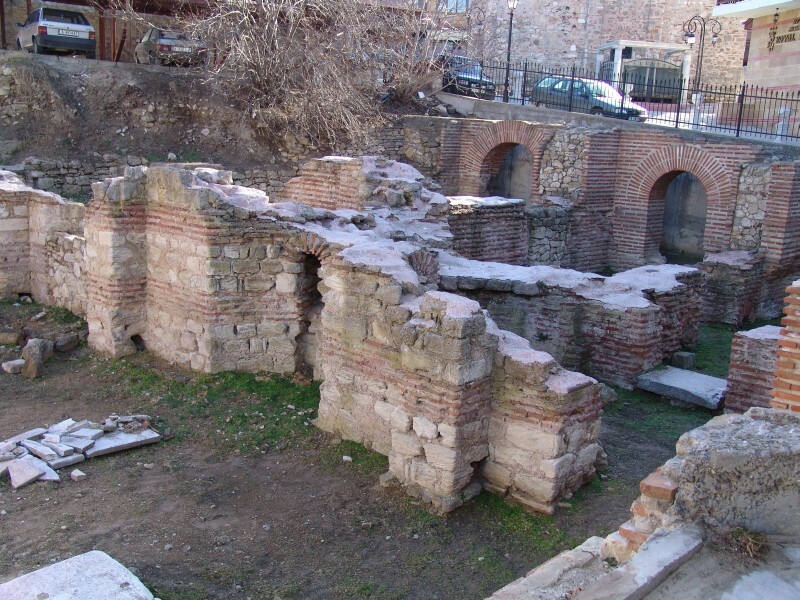 The walls of the terms are built in “opus mixtum” (in alternation - stone and brick lines) and riveted with marble. Their height is up to 3 m somewhere. 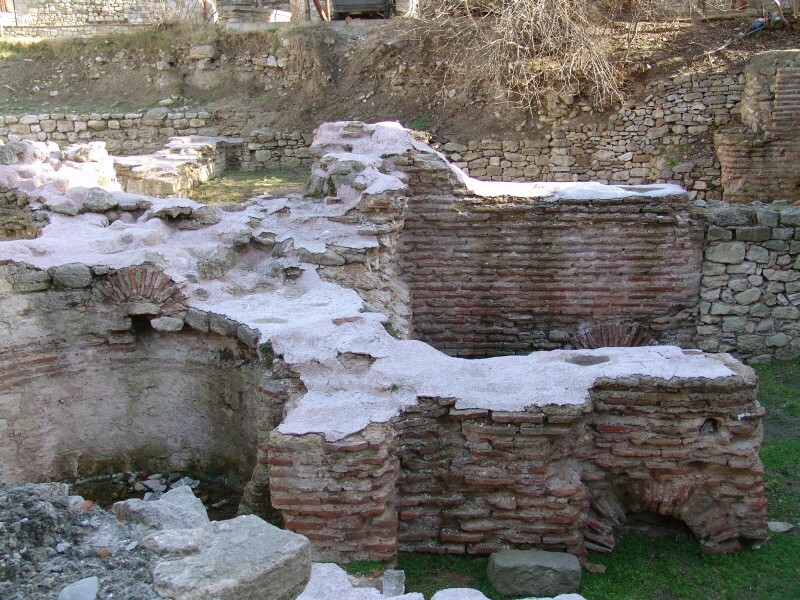 The warm premises have pending floor and hypocaust. The most imposing is the central hall, where four massive marble columns with Corinthian capitals supported cruciform dome. The floor was covered with marble pavement. Terms were water supplied by a special water-conduit, entering from western side of the building. 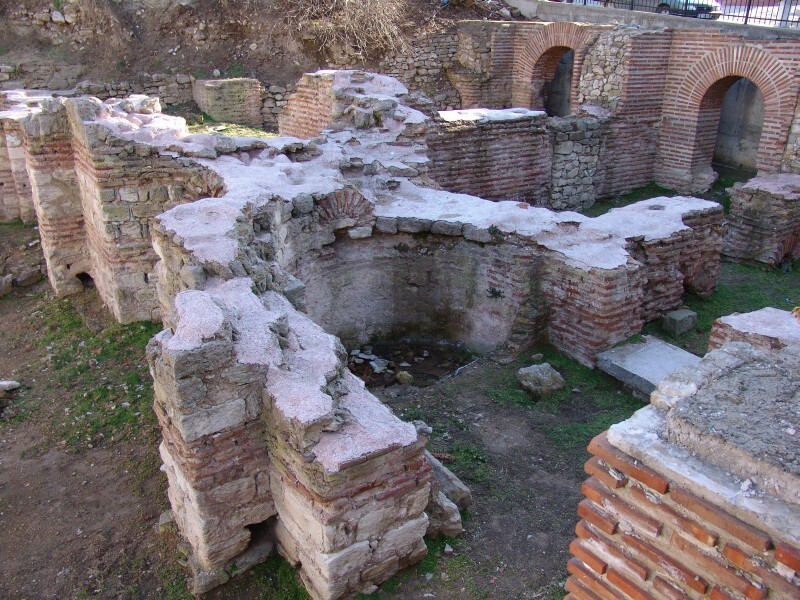 In the period 5th – 6th century, water supplying underground system was built for the entire town. Terms had functioned until the end of 8th century. Reconstruction works were made this period - a brick wall was built in the corridor to narrow it. In the beginning of 9th century, terms were reconstructed for housing and agricultural needs. 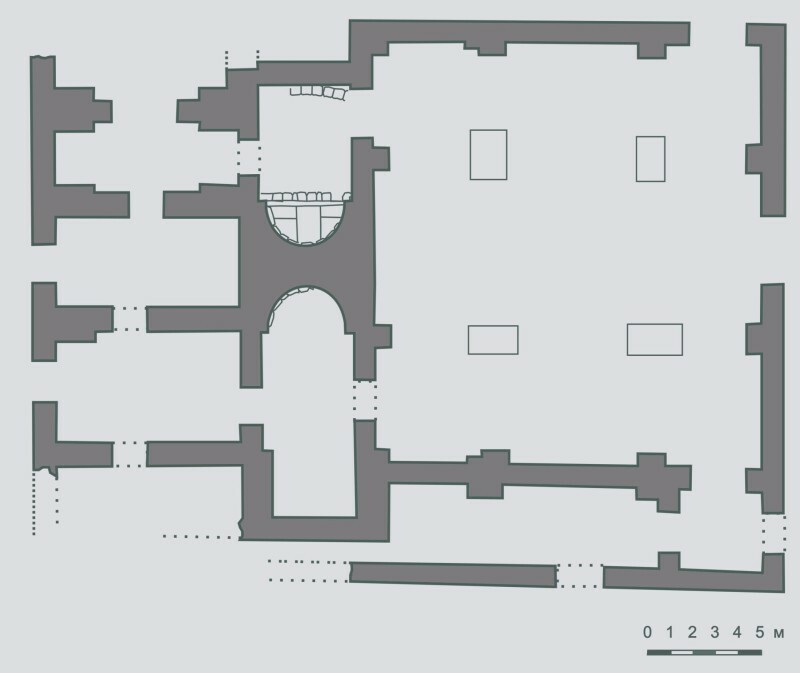 Limekilns were built in the central hall. Byzantine chronics Theophan and patriarch Nikiphorus marked that here in 680 Byzantine Emperor Constantine IV Pogonat cured his legs. The terms were discovered during the excavations in 1973-1975 and 1998-2001. The building is partly restored and conserved.